Kevin Herchen is an award-winning singer-songwriter from Providence, R.I. He took an interest in music at an early age and won a number of awards in music when he was a student at West Warwick High School. After performing in two bands, Herchen went solo, but still wishes he had the time to do both. He enjoys playing local venues and has a captivating style and a passion that can be heard in his original work and his covers of songs from other artists. He recently won The Rhode Show’s “Big Break” contest, presented by Cardi’s Furniture, which enabled him to record a music video for his original song “Stronger” that was broadcast on WNAC-TV during the season finale of American Idol. 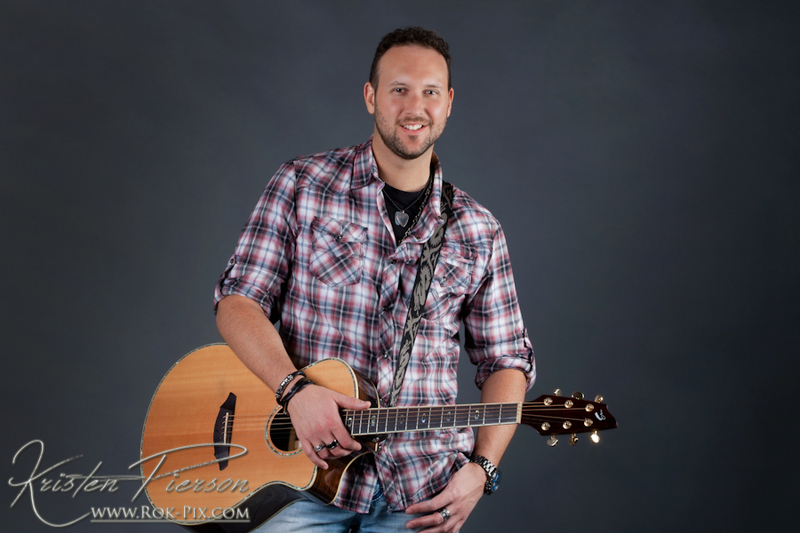 He will be playing at the Lighthouse Bar at Twin River Casino in Lincoln, R.I. on Thursday, May 21, at 8:30 PM. Limelight Magazine (LM): You recently won The Rhode Show’s “Big Break” contest which was presented by Cardi’s Furniture. How do you feel about being this year’s winner? Kevin Herchen (Herchen): I feel great! I am very excited about this honor and about what it may mean for my future as a singer/songwriter and I am very grateful and blessed to have the tremendous support of my family and friends. LM: One of the prizes was a professionally recorded music video that was featured in a Cardi’s Furniture commercial and broadcast on WNAC-TV during the season finale of “American Idol.” Why did you select the song “Stronger” to be the music video? Herchen: “Stronger” is one of my favorite original songs and one of the newest songs I’ve written. I also feel as though it tells a great story and sends a message of hope and triumph in the face of adversity and odds in life, which everyone can relate to on some level. LM: Are you pleased with the way the video came out? Herchen: Yes! I was very impressed by the technique and care that went into the process by everyone involved. It was a lot of fun and the creative design was inspiring. LM: Every singer-songwriter has their own songwriting process. Please walk us through how you go about creating a song? Herchen: I wish I knew! If I could pinpoint it, I would be able to do it better and more often. Seriously though, I usually try to write songs with emotion and songs that have a universal truth or tell a story. Usually lyrics and melody/music go hand-in-hand and come together at the same time, sparked by some type of inspiration. LM: When did you first become interested in music? Herchen: I feel like I’ve been interested in music my entire life. My father plays guitar and sings, so I feel like I’ve been around music forever. Once I saw the “Johnny B. Goode” clip from Back to the Future in 1985, I began entertaining neighborhood kids from my front step and knew it was something I loved. LM: According to your bio, you won several awards in music when you attended West Warwick High School in the 1990s, including best guitar solo at the Berklee College Jazz Festival in 1996. Did those awards help validate that you were doing the right thing by pursuing music? Herchen: Absolutely! Much like winning The Rhode Show Big Break Contest this year, those awards helped to validate the hard work and effort that went into music as my passion. LM: You were also in a few bands, including Raiding Neptune and HearSay, but you’re now a solo artist. Do you have a preference for one over the other and why? Herchen: To be honest, I wish I could do both. Playing solo and playing in a band each has its own unique fun. It’s like two totally different worlds and each allows me to play different songs and explore different options. LM: You’ve obviously played a lot of gigs in your life. Do you have any favorite venues to play? Are there any local venues in New England that you’d still like to play? Herchen: I enjoy outdoor venues the most. I play at George’s in Galilee on select Saturdays in the summer and it’s always a great atmosphere. I enjoyed opening for The Kingston Trio at The Veterans Memorial Auditorium in Providence, R.I., and I love the artistic crowd at The Met in Pawtucket, RI. The Paradise Rock Club in Boston, Mass., has a nice stage and a great crowd that enjoys listening to original music. LM: You list a lot of musical influences on your Facebook page. If you had to narrow it down, who are some of your biggest influences? Herchen: Wow! That is very tough. If I had to pick five, I would have to spread it out among my favorite genres and among the bands/singers that have had an impact on me at significant times in my life. I would have to choose Chris Cornell of Soundgarden, Jackson Browne, Eric Clapton, Lynyrd Skynyrd, Chris Stapleton, and John Mayer. LM: Do you want to continue playing music for the rest of your life or do you have other goals? Herchen: I would love to play music for the rest of my life but to continue to improve and progress further in my musical career. LM: Outside of music, do you have any hobbies or things you like to do? Herchen: I am a HUGE Boston Red Sox and New England Patriots fan! I love sports and I love being outside by a fire pit or by the beach in the summer and spending time with family and friends. I am also extremely interested in health, fitness, and nutrition. For more info about Herchen, visit http://kevinherchen.com. Previous PostDave Davies of The Kinks returns to Fall River to rock the NarrowsNext PostJethro Tull guitarist Martin Barre to perform in Plymouth, Mass.